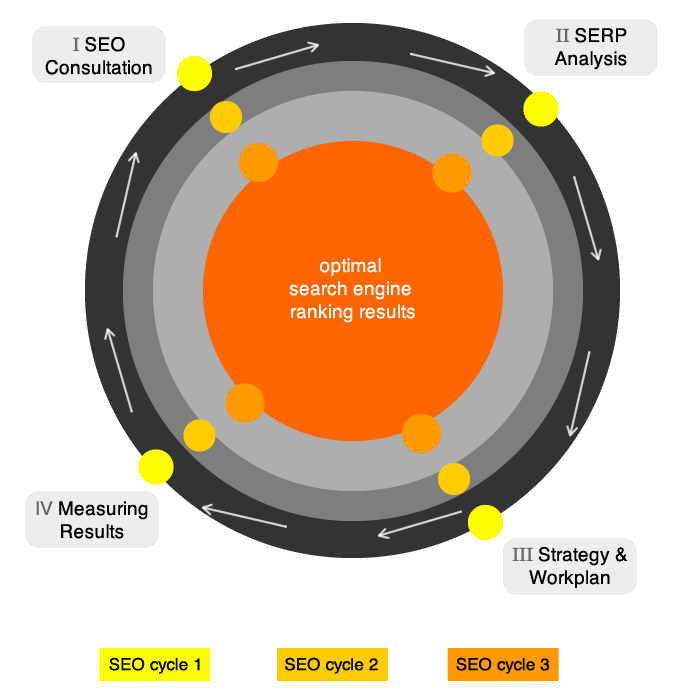 Dallas SEO company Interaria utilizes a 4-Step Process developed by our SEO team for improving our client’s search engine ranking results. The SEO project may include several development cycles depending on the overall search result goals, competition of certain keywords (saturation), scale of the client’s website and online media presence, and available time and budget. Because search engine ranking results can shift around during the optimization time, our Dallas web design & SEO team recommends that the project at total should take at least 30 days, and ideally for the optimal results SEO cycles should be an ongoing process as long as the client wants to maintain and compete for good search engine ranking results. Contact Dallas SEO agency Interaria at 214-909-3900 to discuss how to boost your website’s search ranking results.